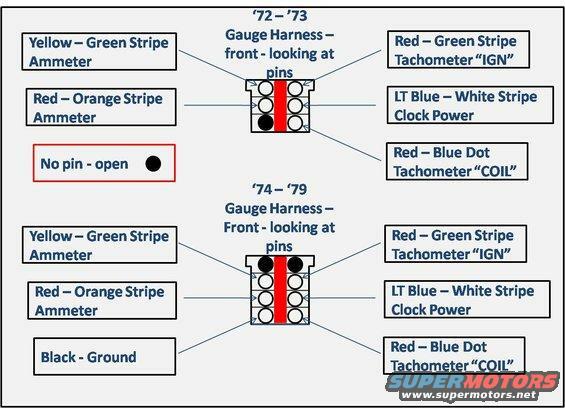 Discussion in 'Ranchero Tech Reference & Articles' started by 72GTVA, Mar 11, 2008. 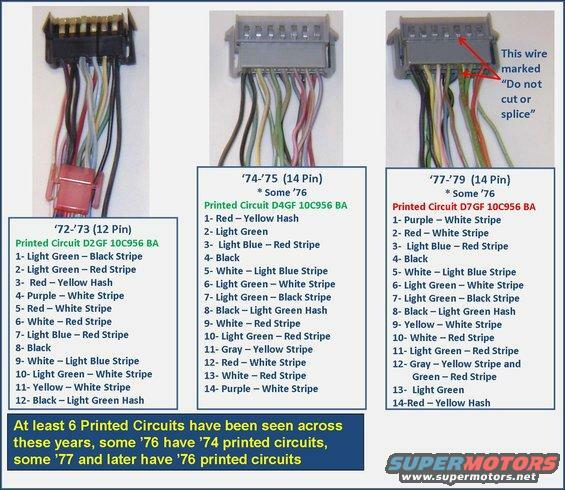 My thanks to Spence, Dan, Rob, HR, Clark, and others for their inputs to this article. 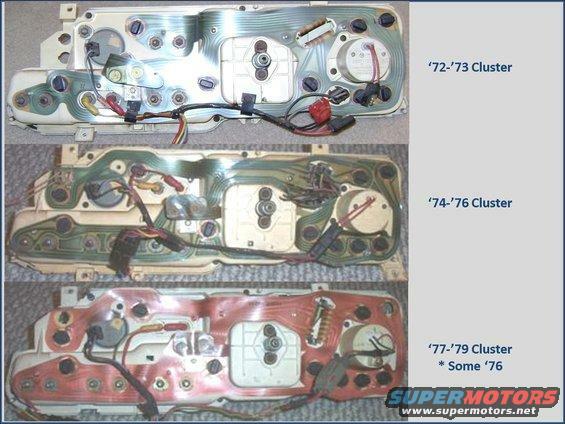 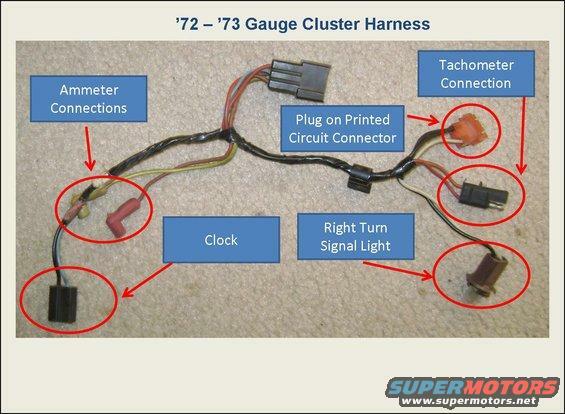 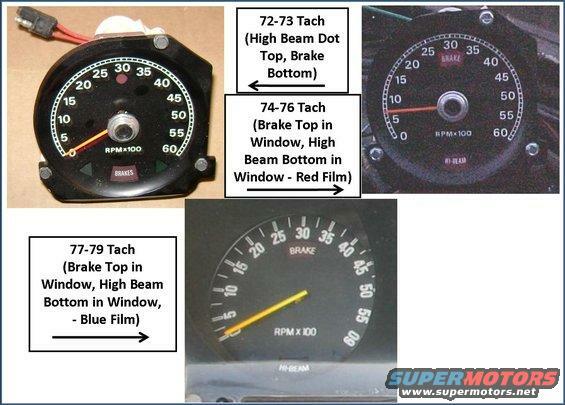 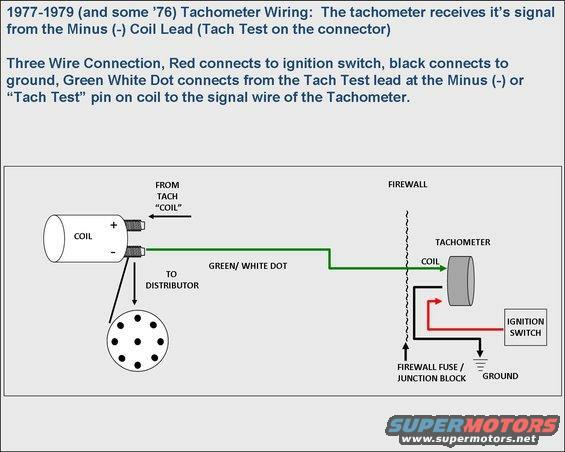 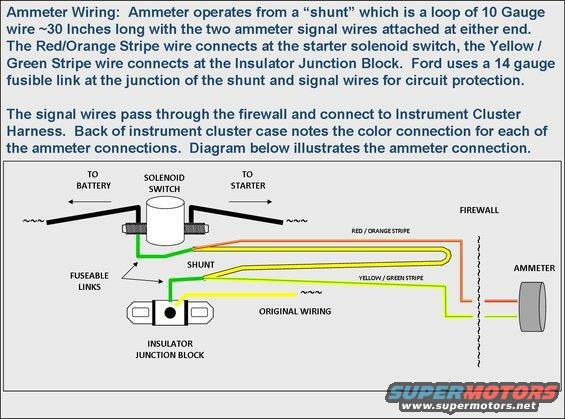 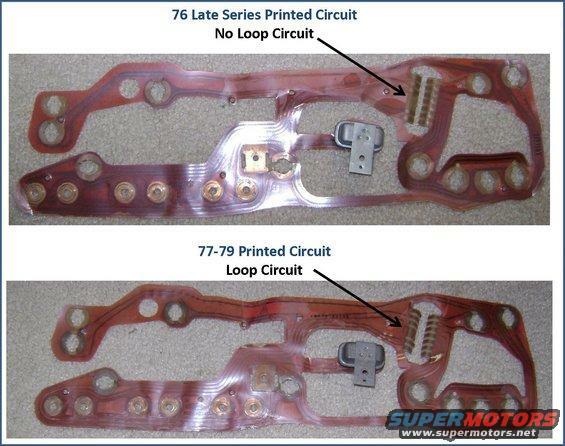 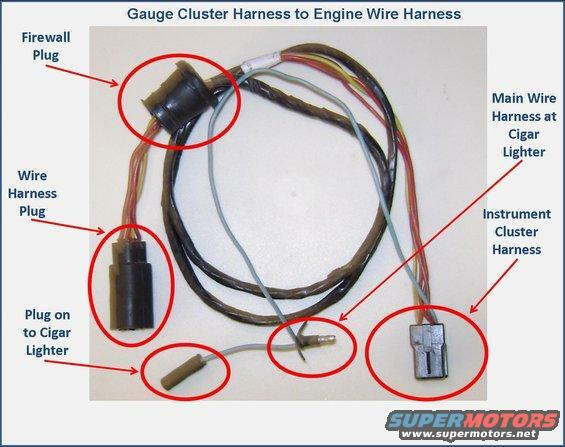 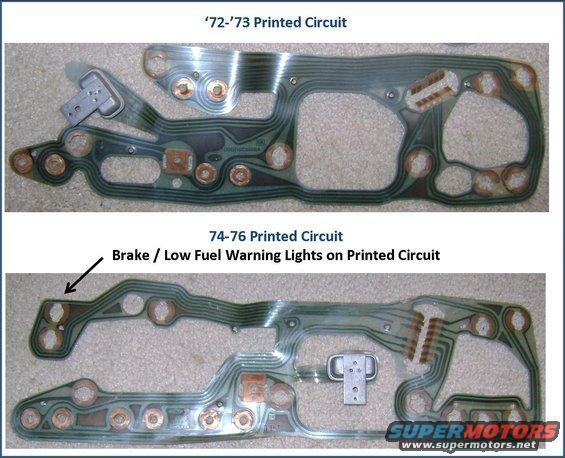 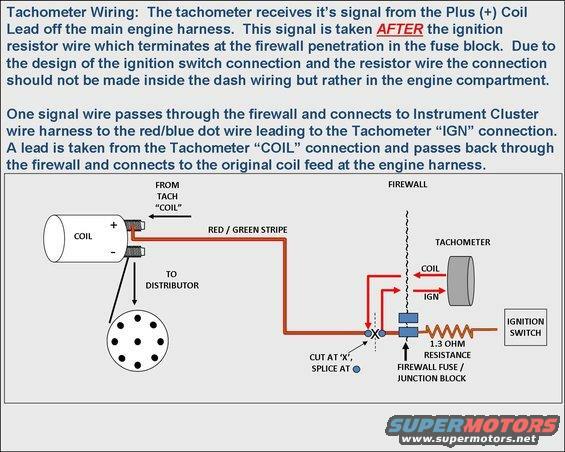 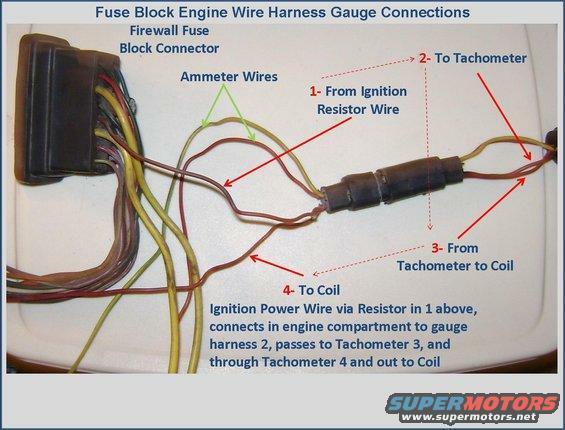 Can this be added to 72 - 79 Gauge Clusters and Wiring Tech Article? 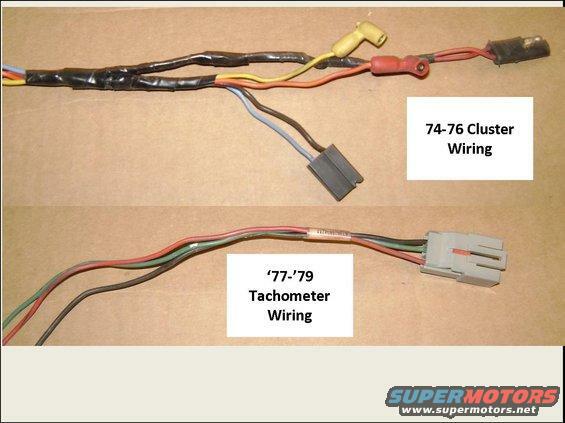 1972 Ranchero 500 clock measured with micrometer. 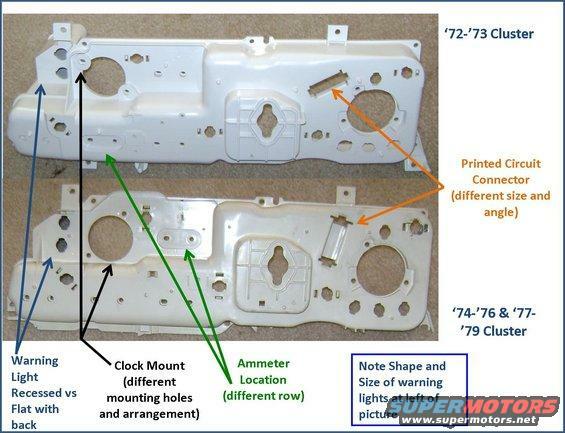 First picture is clock assembly once removed from behind instrument shrouds. 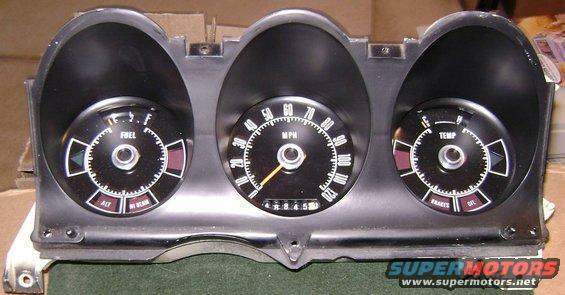 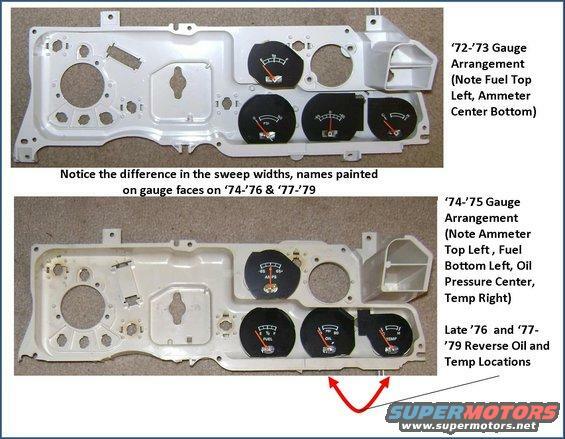 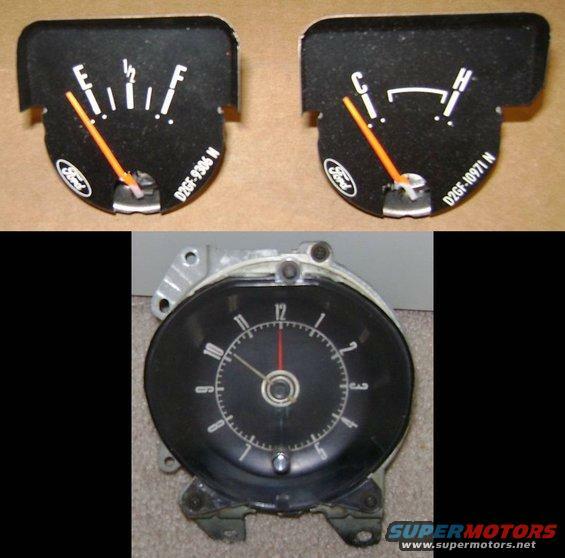 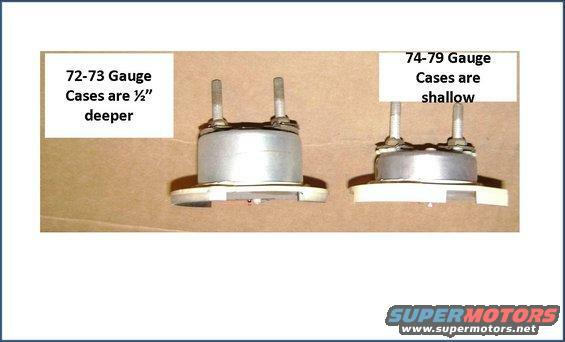 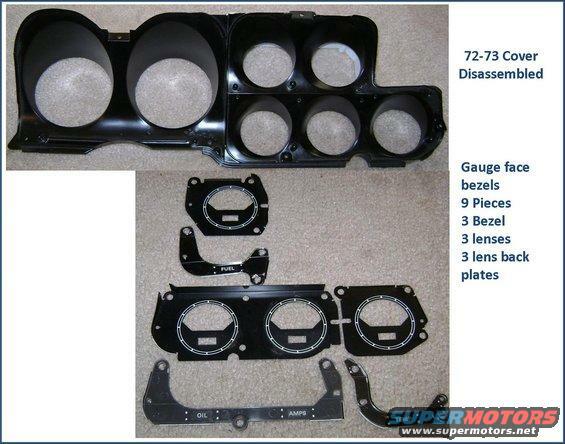 Seperates seperately from standard, partitioned gauge cluster. 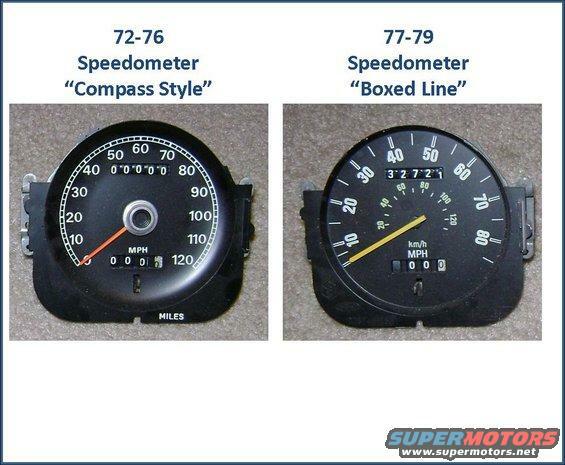 The actual clock gauge face, black, measured from the outside edge (near the 6 to the 12, at its largest width) is 4.20" in diameter and is cut of the left side near the 9, vertically, by about .125". 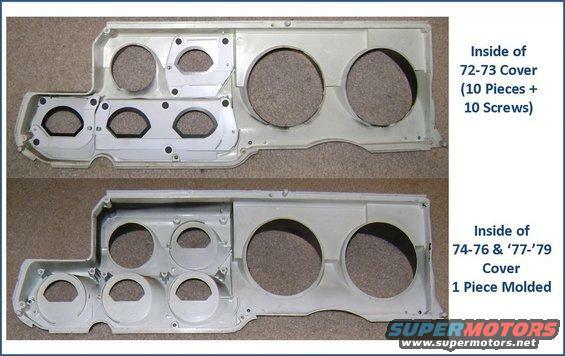 The surrounding white/yellowish shroud housing is exactly 3.50" in diameter. 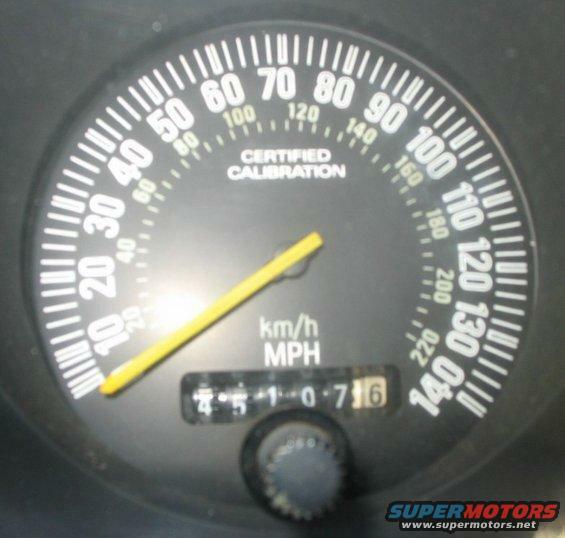 This is the actual ring one can see that physically covers the gauge face. 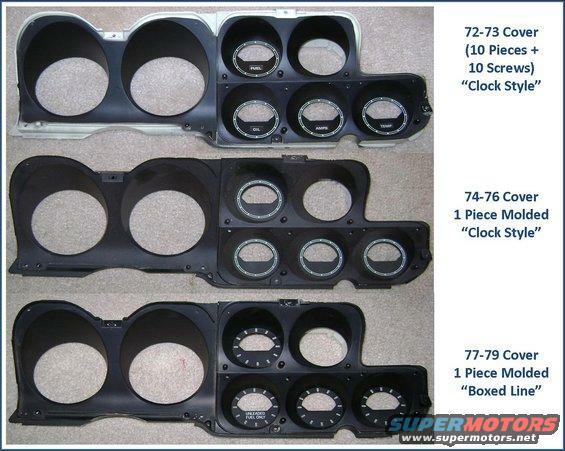 It appears as the center hole, in the 3rd picture with the clock gears towards the top of the picture. 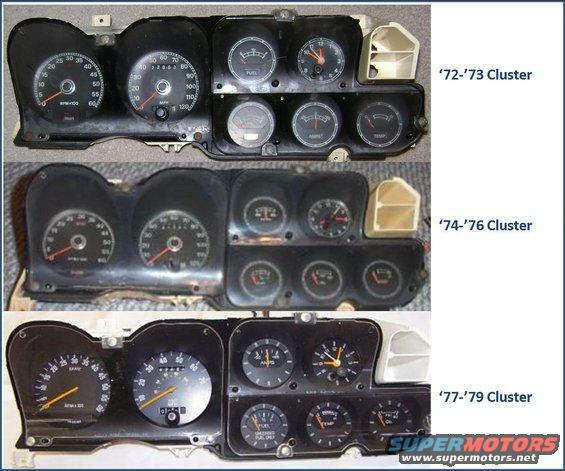 The actual clock (gears, cogs, springs), 4th picture on right end, are quite impressive!